For many celebrities, using a gestational surrogate is the method of choice for bringing a baby into their family. List of BollywoodÂ celebs who took help of surrogacy to become parents. Karan Johar had become a single father to a pair of twins through surrogacy last year. Later, he confirmed the news by offering a statement on his Twitter profile. The baby boy is named Yash after Karan's father, and the girl will be called Roohi, a rearrangement of his mother's name Hiroo. The adorable AbRam Khan, Shahrukh and Gauri's third child was given birth by a surrogate mother using IVF procedure. The family refused to discuss AbRam's birth and although there were a few complications initially, AbRam is now a healthy rockstar just like his dad. Aamir Khan and wife Kiran Rao were facing a lot of difficulties to bring their child in this world, until, they decided to go for IVF. 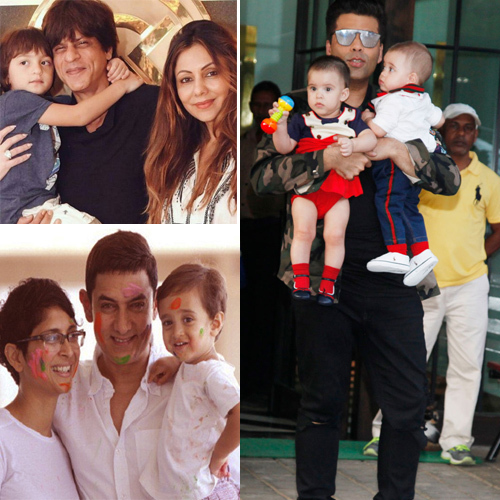 Their surrogate son- Azad Rao Khan is mostly seen with the couple nowadays and both the parents are proud to confirm that Azad- the happy child is a bliss to both of them.